THERE were a host of personal and season bests from athletes from the region at the BMC event at Exeter Arena this week. 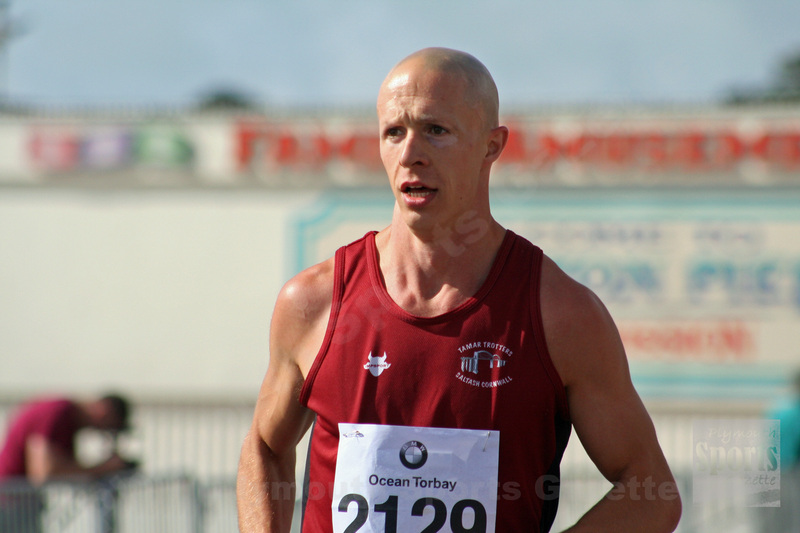 Tamar Trotters’ Mike Wilsmore (pictured above) won the 800m A race in 1:54.05 – just days after setting a 1,500m season’s best at the Watford Grand Prix on Saturday night and running the Torbay Half Marathon on Sunday morning. Wilsmore edged out Tamworth’s Luke Jones to victory at Exeter. Third athlete home was City of Plymouth’s Dean Smith, who ran a season’s best of 1:55.62. There was also a season’s best run for Plymouth Harriers’ Tom Humphrey, who won the D race in 2:05.75. His Plymouth Harriers’ team-mate John Porter, who had competed at the British Masters’ Championships at the weekend, was third in that race in 2:07.26. 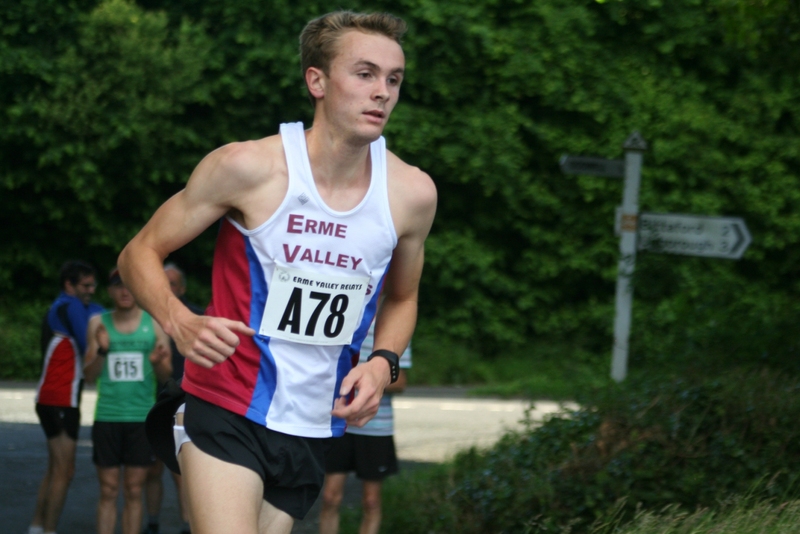 There was a PB over two laps for Erme Valley’s Liam Hallows, who clocked 2:09.86, while Tavistock youngster Oliver Woodmason ran 2:18.88 and fellow Tavistock under-15 runner Joe Dix set a new PB of 2:22.35. In the women’s 800m event, Tavistock’s Emma Ryder came third in the A race in a new PB of 2:18.44. There was also a new best time for Erme Valley under-15 runner Olivia Travers, who clocked 2:28.05. The men’s 1,500m A race was just as competitive as the 800m, with Bideford’s Shaun Antell setting a new PB of 3:55.73 to hold off the challenge of Great Britain under-20 steeplechase international Will Battershill. Battershill took second in 3:58.88, which was just a second off his PB. His Erme Valley team-mate Nathan Brown did record a PB, clocking 4:06.30. City of Plymouth’s Matt Bradley won the B race in a season’s best time of 4:12.96, with his club colleague Stephen Burns, an over-50 athlete, crossing the line in an impressive 4:35.59. There were PBs for Tavistock youngsters Euan Botham (4:49.83), Dan Luckman (5:04.79) and Jamie Brew (5:19.08). Meanwhile, Erme Valley Harriers’ Brown had been among the winners for Team DC at their UK Athletics Youth Development League meeting at Cardiff. He won both the under-20 800m and 2,000m steeplechase. Brown clocked 2:00.69 for the two lap race and 6:52.20 for the steeplechase. City of Plymouth’s Erin Spiller claimed a first and a second place at the Midlands Premier South West competition. She won the under-17 girls’ 200m in 26.68 seconds and came second in the 100m in 13.11. Tavistock’s Jade Kinsey took second in the under-20 400m in 58.83 and also won the 200m B race in 27.08. Club colleague Emma Ryder ran a PB of 4:56.58 to finish third in the under-20 1,500m, while City of Plymouth’s Molly Mather claimed second in the under-17 80m hurdles and came third in 300m hurdles.